Ibis is proudly working with the Mangrove Action Project to support grassroots conservation projects in our home in Central America. The Padre Ramos Estuary & Nature Reserve is one of the largest contiguous mangrove estuaries left in Central America. MAP wants to make sure the mangroves are protected for humans in coastal communities and for diverse species of wildlife like egrets, crab, and boa constrictors. 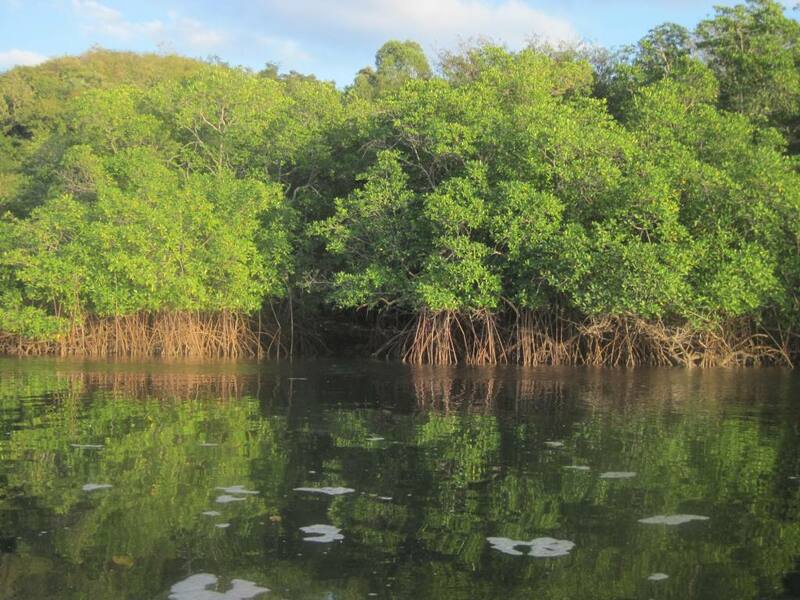 Why are mangroves important? Mangroves are one of the most threatened habitats in the world. They are the “roots of the sea”, and they provide buffers for coastal homes during strong storms, flooding, and hurricanes. Mangroves provide habitat for commercial fish. (75% of all tropical commercial fish species spend part of their lives in the mangroves.) Mangroves also filter pollutants, sequester carbon dioxide, and provide habitat for endangered sea turtles. Muy impresionante, si? The Mangrove Action Project is now planning an Ecological Mangrove Restoration Workshop in Nicaragua to link regional conservation work in El Salvador and Honduras. Working with communities, local NGOs, and international conservation organizations, MAP plans to initiate community-based education and restoration training projects to protect and restore the mangroves and the species that rely on this habitat for their survival, including us! In seven days, travelers will enjoy the best of our tours…sea kayaking, volcano hikes, nature reserves, and culture, with extra opportunities to kayak deep into the mangroves. (Not to mention the bioluminescence.) Your vacation will directly support the Mangrove Action Project’s worthy cause, because 10% of all trip proceeds will directly support MAPs Latin America conservation projects!